The vision for Glacier Nalu Campground Resort began during a family vacation to Hawaii. During their visit, the owners Becky and Sean, visited campground parks filled with relaxed people, great locations, and many recreation options near by. They started to imagine that this type of accommodations could be possible in their hometown of Juneau, Alaska. Soon after returning to Juneau, the opportunity to purchase an established RV park and campground, Spruce Meadow, arose. The vision for Glacier Nalu started to become reality. Located within walking distance of the world famous Mendenhall Glacier, and only a short drive from the Juneau International Airport and Alaska Marine Highway Ferry Terminal, Glacier Nalu Campground Resort provides guests with the opportunity for outdoor living during their Alaskan vacation. Choose to RV, camp, and very soon join us for luxury glamping and cabins sites! By combining the majestic scenery of Alaska with the relaxed vibes of Hawaii, our hope is provide a tranquil, nature focused PLACE TO STAY during your visit to this beautiful and diverse area of Southeast Alaska. Join us for warm laughs and shared community in the solitude of the woods. 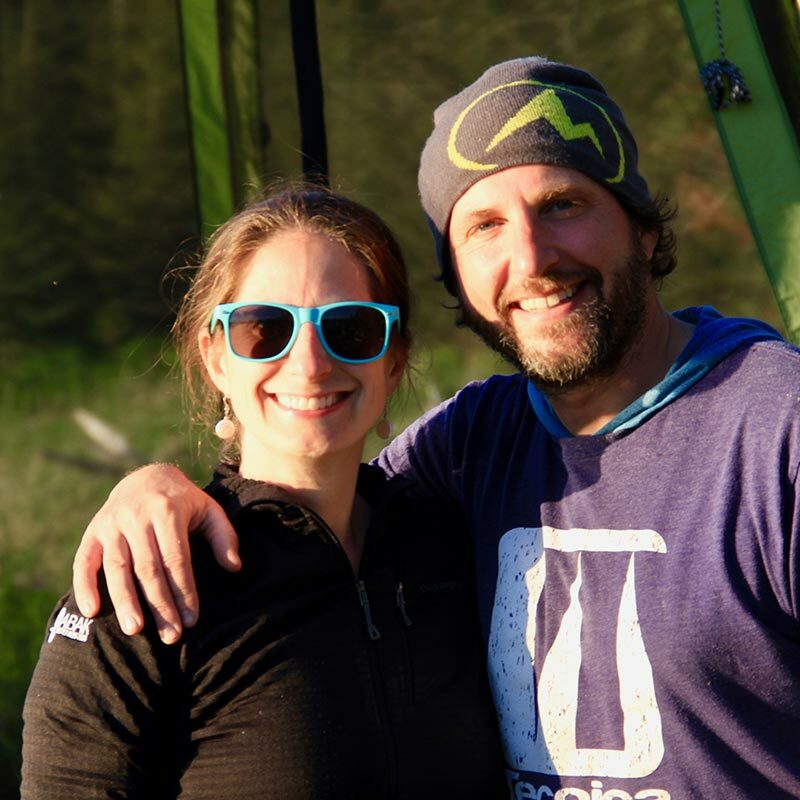 Becky and Sean are life long Juneau locals, who know and love Southeast Alaska. Glacier Nalu Campground Resort has been inspired by their personal camping and outdoor adventures and they hope to share the beauty of their home with visitors from around the world.